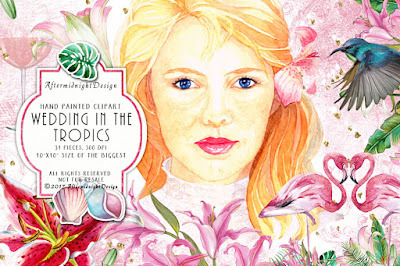 Need some wedding clipart with tropical flowers and hummingbirds? Take a look in my shop! I'm working on a paper pack as well to go with the wedding clipart.